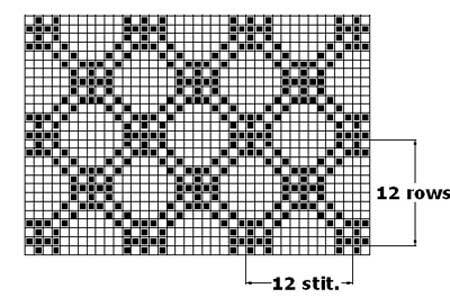 Filet Crochet Pattern. Be creative. To make a filet crochet pattern is easy. Filet crocheting is an amazingly flexible and rewarding technique. You can use any kind of yarn, any number of hook. Just don't be afraid to experiment a little bit. Filet crochet designs looks pretty lacy, but at the same time structure of the filet crochet fabric tends to keep shapes of designs unchangeable for years even after numerous washing. 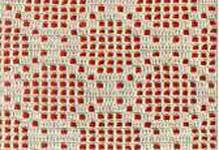 1.Filet crochet is a mesh composed of open and solid cells. There are different ways to form the cells. 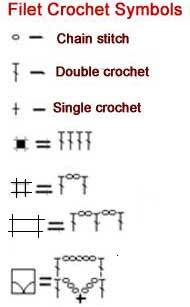 A filet crochet symbols picture shows you the most often used way to crochet them. 2.Number of stitches for the foundation chain: 3 x (number of cells) + 3 turning chains (to start the 1st row)+ 1 chain(to form the last cell of the 1st row). If you have to make 48 cells for the 1st row, your foundation chain will have: 3 x 48 + 3 +1 = 148 chains. 3.To keep filet pattern neat make sure you are working a little more tightly than usual. It might not a bad idea to use a size hook one number less than recommended for the kind of yarn you chose. 4. Filet mesh will look more orderly if each double crochet is worked in the front strand of a stitch, instead of working in both. 5.To finish a crochet filet project, wash it with soap, wet item pin to the clean cardboard, stretch to the necessary shape, and let it dry. Carefully iron it, but better steam. Some projects require light starching. 6. Final look of filet crochet design to the big extend depends on kind of thread and number of crochet hook you use to make it. The thinner the thread you use, the more intricate look of your project will be. 7.Fillet crocheting is VERY flexible technique. No wonder modern designers keep continue to invent new techniques based on filet crocheting. Some brilliant ideas about this techniques you wil find ate You will find a lot at TryCrochet.com site. A filet crochet pattern "shelf". You will find more of them added as I build this site. 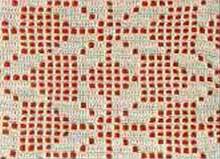 Check a filet crochet doilies page for additional patterns. Pattern 1.To make swatch: Multiple of 8 stitches. Click for chart. (new window opens). 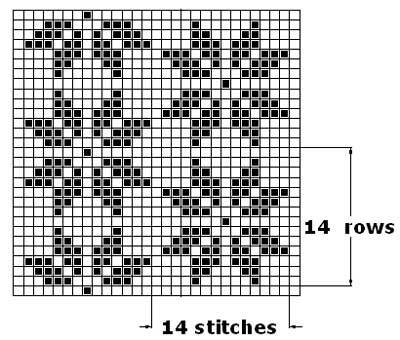 Pattern 2.To make swatch: Multiple of 14 stitches Click for chart. (new window opens). 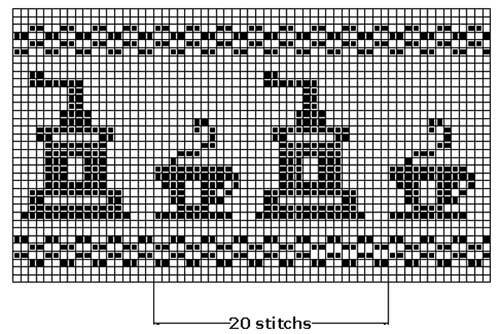 Pattern 3.To make swatch: Multiple of 12 stitches Click for chart. (new window opens). 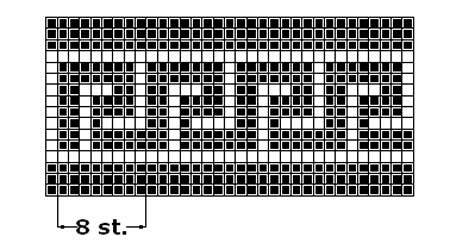 Pattern 4.To make swatch: Multiple of 12 stitches Click for chart. (new window opens).